Credibal is about openness, sharing more information, and personalization. It allows nonprofits to show donors how their donations were used and the impact they were able to make. Allows donors to track their donations as they go through the nonprofit's organizational workflow until they are utilized. Donors receive personalized reports giving them a clear view on how their donations were spent and the impact they were able to make. Build a Budget for anything: a project, a campaign, an event, or your entire organization and show it to your donors on your online-giving pages. It impacts them psychologically. It gives them the whole picture — kind of like starting with an end in mind. Once the donors have donated, Credibal identifies and tracks each donation. It allows you to build a personalized experience for each donor as you share more relevant information with them. 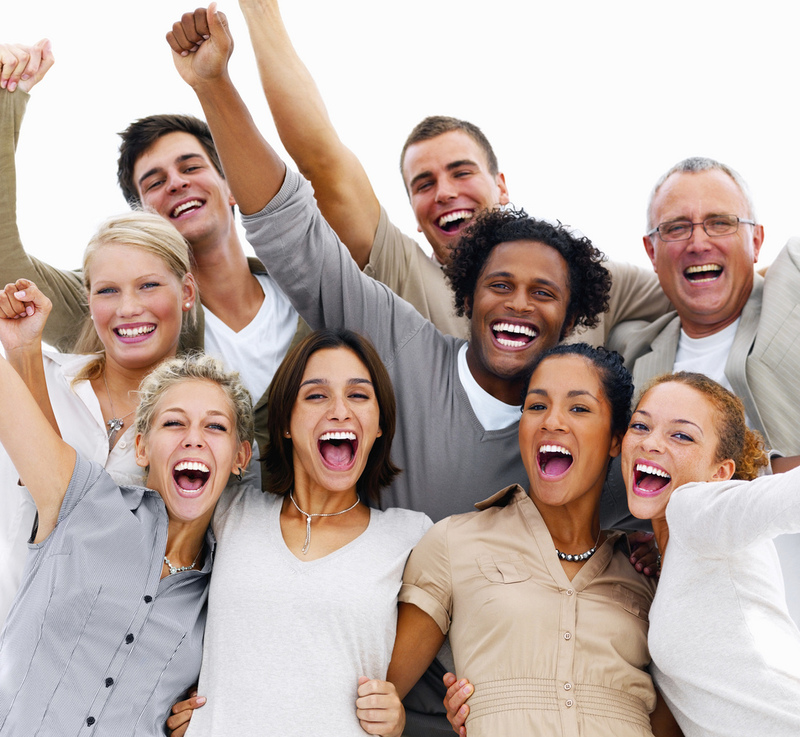 Your donors will be delighted and will look forward to receiving emails from you. So now that your emails contain valuable information for donors and not simply solicitations for more donations, donors see the value they are getting. You are on path to building something more meaningful with your donors. This helps in retaining donors and more fund raising. 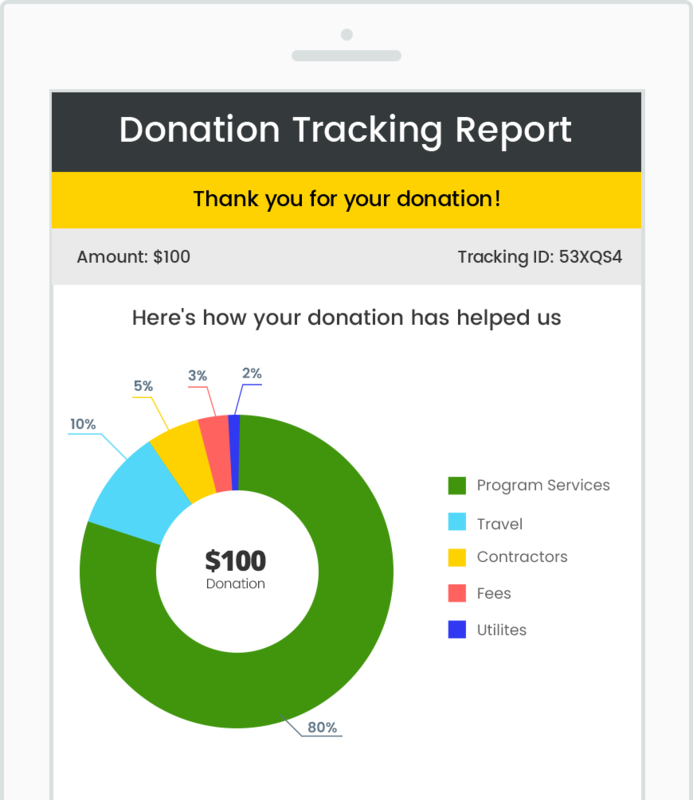 Credibal is built to help nonprofits track donations, share more information with donors, and raise more funds. This is one fundraising method that will never get too old. Build strong, long-lasting relationships with your donors based on transparency and trust. Use the best technology to show your donors how you work towards your cause and inspire them on the way. Not only retain your donors but motivate them and keep them coming back to work with you in fulfilling the shared cause. 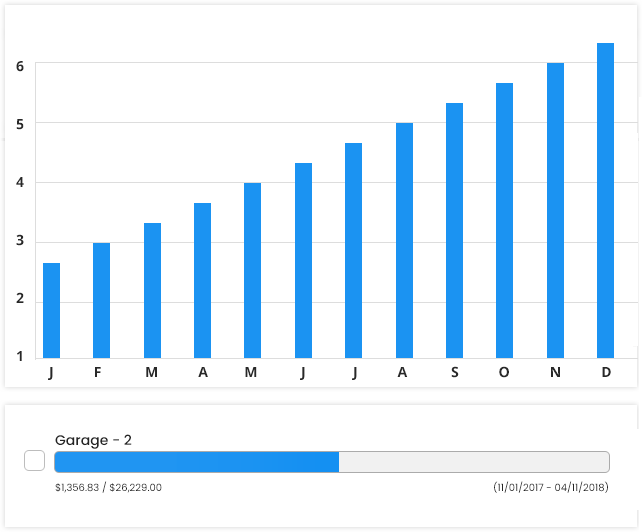 Allow your donors to make online donations and then track them in real-time as they go through your workflow. 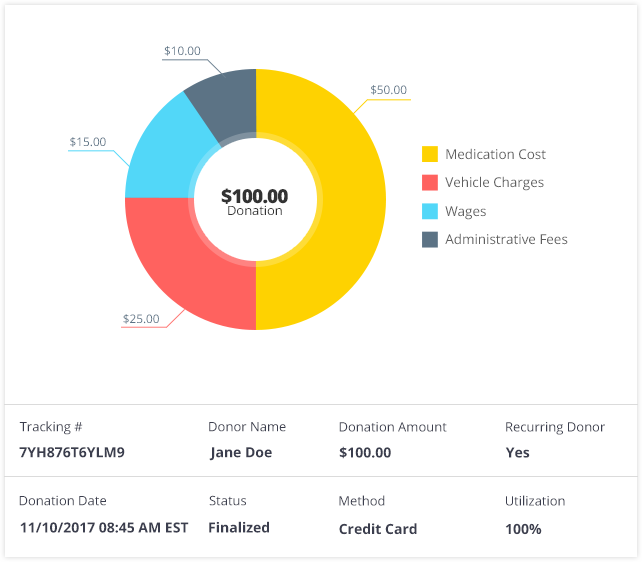 Show your donors how their donations have helped your cause in personalized reports down to a single transaction. Give your donors a greater giving-satisfaction and bring them a sense of closure. You have worked hard to make it easy for donors to donate. Now you can keep them engaged in the post-giving phase by sharing more information with them and building long-lasting relationships. 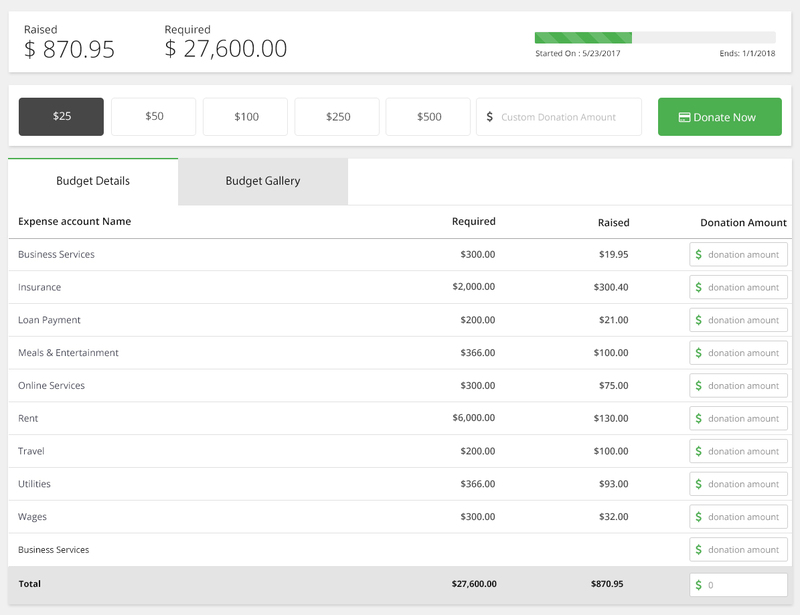 Use Credibal to easily show your donors how you are using and spending their gifts. Attract, Inspire & Retain your donors and keep them engaged with personalized experiences.